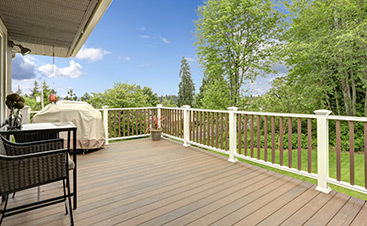 America’s love affair with hardwood dates back twenty years. Hardwood flooring is considered a solid investment and homes with wood floors have been seen to both hold their value better and sell for higher prices. 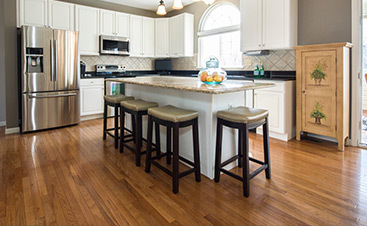 Naturally, hardwood floor designs have evolved to match the demands of the modern-day homeowner. In 2014, these trends are ‘in’! Gray is no longer the black sheep of colors. It is a popular option in contemporary decor, with walls and floors sporting this hue for a cool, bright and spacious effect. Carpeting and tiling are increasingly incorporating gray. And now, gray birch and maple floors are adorning homes and offices. Existing oak floors are also being refinished in gray, so that should also give you an idea about how much the shade has caught on. Something about solid dark colors has caught the fancy of home and business owners. On the darkest end, you have ebony while jacobean and dark walnut are the warmer picks. 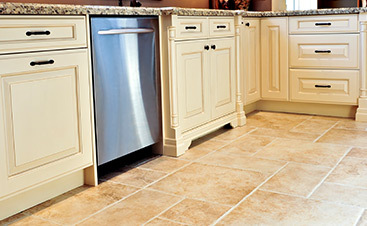 The issue with dark floors is that scratches and dirt are more evident on them. But they are pretty much unbeatable if you’re going for a rich and chic look. 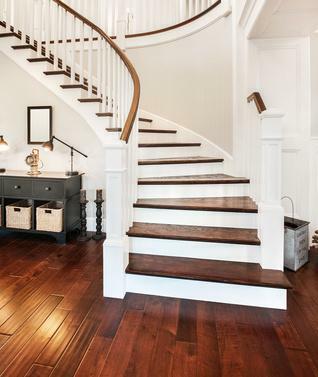 If you decide to go for dark hardwood floors, remember that it’s better to walk on them with your socks on rather than barefoot as the oils from your feet can leave behind marks. When perfectly complemented with the rest of the interior decor, hardwood floors in red and orange look striking. But achieving this balance is quite challenging. This is a reason why homeowners are making the shift to more neutral browns and golds, which are easier to match with area rugs, furniture and other interior accessories and treatments. Wider planks have a contemporary appeal. Importantly, they add the effect of space and make rooms look bigger than they actually are. The trend has been towards wide planks for new additions, especially in the bedroom and kitchen. Interesting trends no doubt. But it’s not necessary that you try one or more of them. There are enough choices in color and style in hardwood flooring to meet your unique preferences. What works for your neighbor may not work for you. Consider factors like construction, effect, ease of cleaning and cost when finalizing hardwood floor installation.